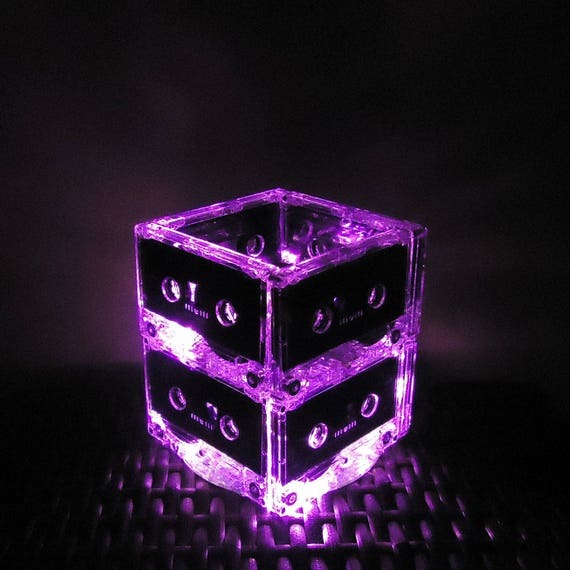 This listing is for 10 pink mixtape lighted centerpieces. Pink color is brighter than in picture. More of a HOT pink. Very vibrant. 8 Upcycled very rare blank cassette tapes and one CD handcrafted into a super fun rockin' retro night light holding 20 PINK mini LED lights. International orders will ship via parcel post. Please allow up to 30 days for delivery.